Do you remember when your parents said your love of marijuana would get you a first-class ticket on the road to nowhere? It turns out they were wrong. These days, that skunky pot odor translates into the sweet smell of success thanks to the booming cannabis industry. You just need to get a marijuana loan to open a business, then you can start raking in the profits. Considering that marijuana is a $2.75 billion industry in California, those profits can be huge. There is one problem though, and it could cause your entire plan to go up in smoke. You don’t have the best credit. That might be a roadblock, but you can get past it with the help of a hard money lender in California. Let’s be honest for a second. 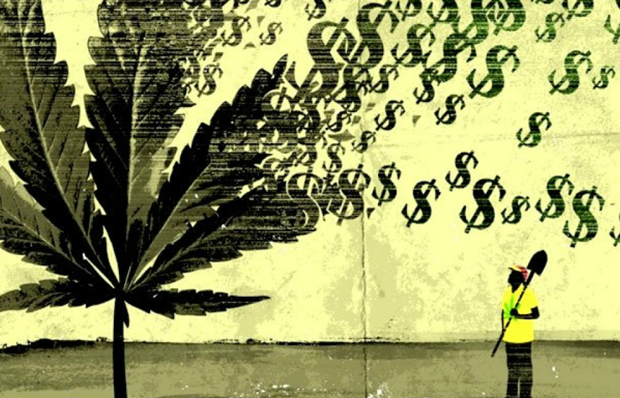 Banks and the marijuana business go together like orange juice and toothpaste. Traditional lenders aren’t real keen on loaning money to fund a marijuana business, and it is even worse if you have bad credit. Trying to find a bank that will offer you a bad credit loan in California is like trying to find the Loch Ness Monster. Maybe Nessie is holding onto all that money the banks want to lend to people with bad credit, but she sure isn’t giving it up. While traditional lenders use credit scores and debt-to-income ratios to determine someone’s creditworthiness, hard money lenders are different. Instead of using a credit score, a California hard money lender will look at your collateral, especially your home. If you have a lot of equity in your home, you can use it to secure the loan. Brokers that offer hard money loans in California don’t even care about your credit. The equity in your home is all they need to secure the loan. Just keep in mind that you need enough equity to secure the loan in its entirety. When your credit score started tanking, you probably thought you would never get a loan again. Not only can you get a bad credit loan in California, but you can get the money faster than you would with a traditional bank. Some people wait weeks or months to get their money from traditional lenders, but a hard money lender can get your cash to you in under a week. This is one of the few benefits of having bad credit, so take advantage of it. Also, because you are working with investors and brokers instead of big banks, you have some flexibility in your terms. Many of the hard money loans in California are customized to fit the borrower’s needs. That includes the terms of the loan and the repayment schedule. The California cannabis industry isn’t showing any times of cooling off, and now is the time to get in on the action. Secure a hard money loan from a lender in California, set up your business, and watch the profits roll in. This entry was posted in borrow money, General, Invest Money, Lending, Submit Loan and tagged California hard money lender, hard money loans, investing. Bookmark the permalink.